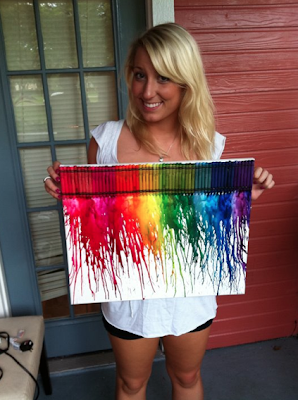 Make amazing art to hang up in your room! You will want to melt the crayons somewhere outside, they do splatter everywhere. If you choose to do it inside, make sure to lay down A LOT of plastic trash bags and/or newspaper. 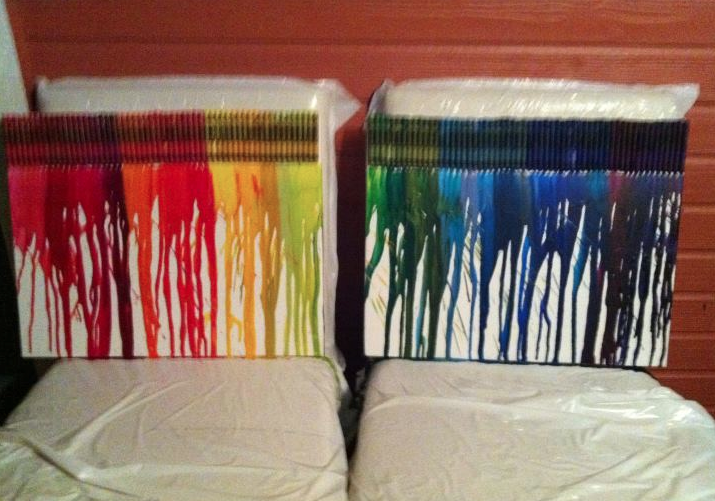 Once you have your melting area set up, begin melting the crayons. 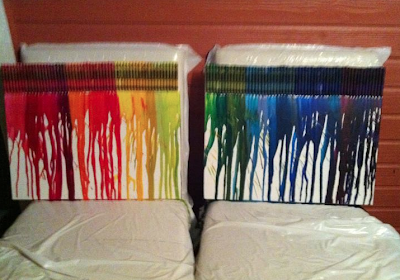 Try to keep the hair dryer a few inches away from the crayons, and try using an up and down technique. You'll get the hang of it the more you play around with the hair dryer. You can use to hot air to push the melting wax all the way down the canvas, and if you turn it different directions you can actually alternate which direction the wax melts. Be creative and use techniques that you like the best. The wax only takes a few minutes to dry completely. There may be a few chunks of wax that are stuck in piles on the bottom of the canvas, if so, just pick them off.